4-Aminophenyl phosphate monosodium salt hydrate p-aminophenyl phosphate (pAPP) MOLECULAR BIOLOGY GRADE Store at -15°C, protect from light. 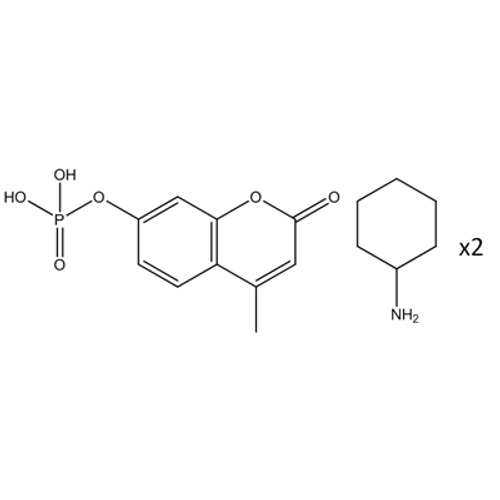 Features CAS#: 108084-47-5 Molecular Formula: C6H7NO4PNa Molecular Weight: 211.090 g/mol &nbs..
4-Methylumbelliferyl phosphate bis (2-amino- 2-methyl-1,3-propanediol) salt MUP·2 AMPD MOLECULAR BIOLOGY GRADE White to off-white crystalline powder Sensitive fluorogenic substrate for fluorometric and UV-spectrophotometric assays of phosphatases. 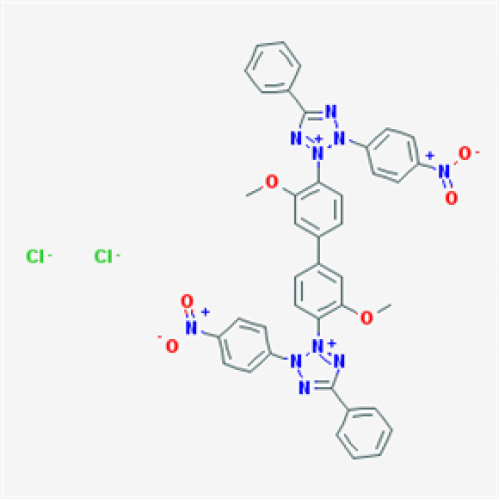 Store at..
4-Methylumbelliferyl phosphate bis (cyclohexylammonium) salt MUP·2CHX; 4-MU-phos·2CHX MOLECULAR BIOLOGY GRADE White to off-white microcrystalline powder Sensitive fluorogenic substrate for fluorometric and UV-spectrophotometric assays of phosphatases. 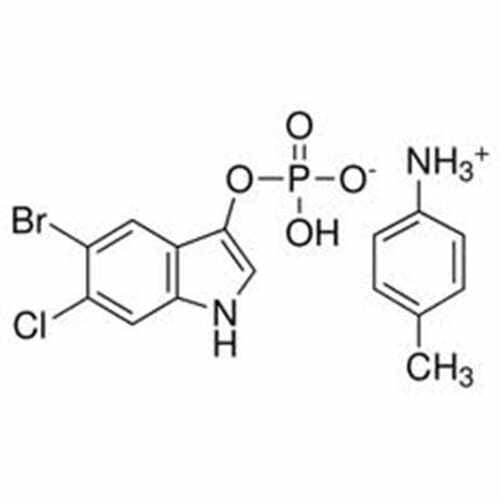 ..
4-Methylumbelliferyl phosphate free acid MUP MOLECULAR BIOLOGY GRADE White to off-white crystalline powder Sensitive fluorogenic substrate for fluorometric and UV-spectrophotometric assays of phosphatases. 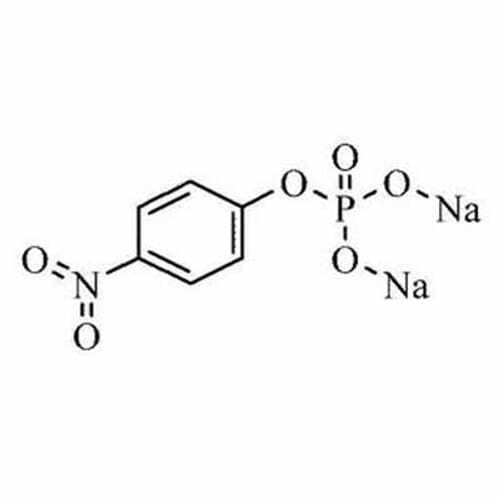 4-Methylumbelliferyl phosphate is an indicator of C. perfringens b..
4-Nitrophenyl phosphate, disodium salt hexahydrate PNPP, p-nitrophenyl phosphate, para nitrophenyl phosphate, PNP-phos · 2 Na MOLECULAR BIOLOGY GRADE Off white to light yellow crystalline powder Chromogenic substrate yielding a soluble yellow chromophor for the col..
Lapis-Phos·P-Tol; 5-Bromo-3-indoxyl phosphate, p-toluidine salt MOLECULAR BIOLOGY GRADE Lapis-Phos PT is an off-white crystalline powder that is used as a substrate for alkaline phosphatase, yielding a blue colored precipitate when cleaved. 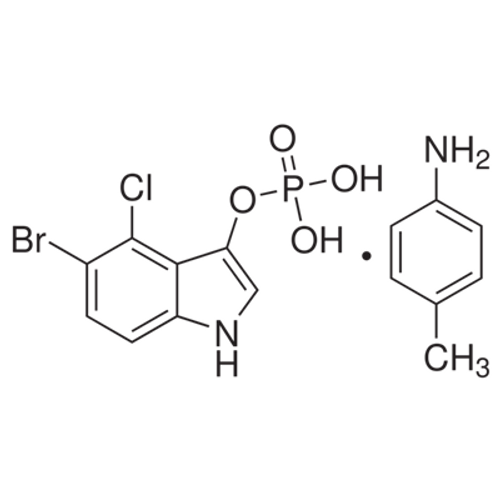 Store at -15°C and pr..
X-phos; 5-Bromo-4-chloro-3-indoxyl phosphate, p-toluidine salt MOLECULAR BIOLOGY GRADE BCIP is a white to off-white powder that is used as a substrate for visualization of alkaline phosphatase. The end product is insoluble and purple when used with Nitroblue Tetrazolium. 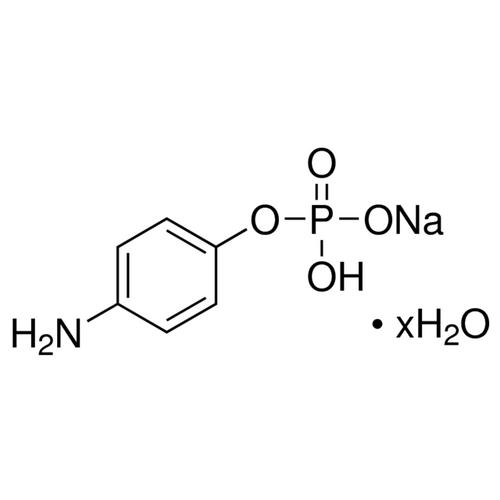 This end p..
Magenta-phos·2Na·H2O; 5-Bromo-6-chloro-3-indoxyl phosphate, disodium salt monohydrate MOLECULAR BIOLOGY GRADE Magenta phosphate disodium salt monohydrate is an off-white powder that is used to visualize phosphatase activity. The end product is insoluble and magenta co..
Magenta-phosphate p toluidine salt; 5-Bromo-6-chloro-3-indoxyl phosphate, p-toluidine salt MOLECULAR BIOLOGY GRADE Magenta-phos PT is a white to off-white microcrystalline powder that is used as a substrate for visualization of alkaline phosphatase activity. 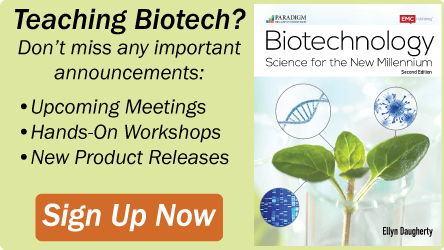 The end product is inso..
Nitrotetrazolium blue chloride; NBT; Nitro blue tetrazolium chloride; Nitro-TB MOLECULAR BIOLOGY GRADE NBT is used in combination with 5-bromo-4-chloro-3-indoxyl phosphate (BCIP) to detect alkaline phosphatase activity in blotting techniques and in situ hybridization chemistry. 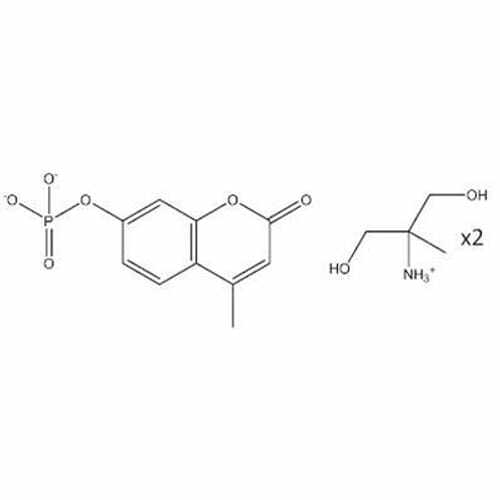 ..
Resazurin, sodium salt Diazoresorcinol MOLECULAR BIOLOGY GRADE Black crystalline powder Transition of pH Indicator: 3.8 - 6.5 orange to violet. 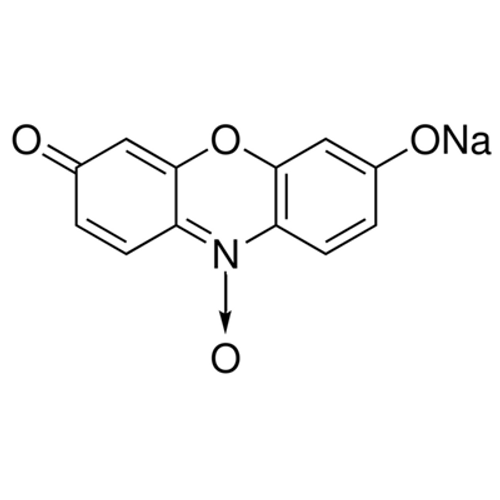 Used in Resazurin Microtiter Assay for rapid detection of multidrug-resistant Mycobacterium tuberculosis. 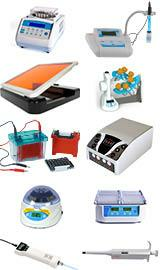 Used in cell viability tes..